PepsiCo's incoming chief executive Ramon Laguarta is the latest of a new generation of leaders tasked with reigniting growth at the world’s best-known food and drink brands. PepsiCo Inc.’s incoming chief executive Ramon Laguarta is the latest of a new generation of leaders tasked with reigniting growth at the world’s best-known food and drink brands as they fight back against media-savvy independent rivals. Six of the world’s ten biggest food firms, including Nestle, Mondelez International Inc.and Kellogg Co. , have replaced their CEOs in the past three years. Campbell Soup Co.and Hain Celestial are also on the hunt, with more in the broader consumer industry expected to follow. “I’m hearing people saying for the very first time things like ‘We’re going to recruit a head of marketing with a background in analytics,’” said Oliver Wright, global lead for consumer goods and services at Accenture Strategy. Last year, Mark Schneider became the first outsider in nearly a century to take the reins at Nestle, the world’s largest food company. The 52-year-old health-care veteran, nearly a decade younger than his predecessor, has stepped up acquisitions and divestitures and restructured parts of the business as he contends with activist shareholder Third Point. Sean Connolly, 53, took over the helm at Conagra Brands in 2015 and has already moved the group’s headquarters, announced sweeping cost cuts, launched new products aimed at millennials and agreed to buy rival Pinnacle Foods . Just more than half of the 39 consumer packaged-goods companies in the Fortune 500 have changed their CEO in the past 2 1/2years, according to executive search firm Russell Reynolds Associates. That represents 15 per cent of all CEO changes in that group of companies in that period, even though the sector only makes up 8 per cent of the Fortune 500. 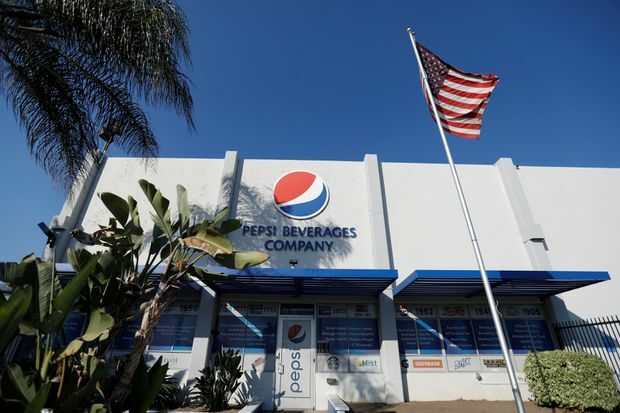 Analysts are speculating whether the latest new appointment Mr. Laguarta, a 54-year-old Spaniard who speaks four languages, will be more open to strategic options such as separating PepsiCo’s U.S. bottling business or breaking up the company. Mr. Laguarta is a PepsiCo veteran with 22 years at the company, but others have looked elsewhere for new leaders. About half of the new CEOs hired in the sector in the past five years have been internal candidates, down from roughly three quarters over the past 20 years, said David Cooper, head of Bain’s consumer packaged goods practice. The growing acceptance of input from outside the industry comes as the consumer-goods sector has been aggressively targeted by private-equity firms and activist investors looking to shake things up. Private-equity firm 3G, known for engineering mergers and slashing costs, shocked the industry in 2015, when it combined Kraft Foods with its H.J. Heinz, keeping partner Bernardo Hees in charge. Nelson Peltz’s Trian Fund Management recently won a board seat after a proxy fight with Procter & Gamble Co.
More CEO turnover is expected as the last generation of leaders run out of room to grow using the established playbook of consolidation and focussing on emerging markets.